So, its been several months since I participated in the Unity 3d beta for BlackBerry 10. Those of you who know me, know I tend to participate in a lot of beta programs for BlackBerry 10 to help and encourage new developers. And I tend to write long, lengthy posts about the experience afterwards. Well, if you can’t tell from the title, Unity was a bit of a mixed experience. Short version: The software was great, and can do amazing things. However, support was non-existent throughout the beta, and we received little effective communication. Further, Unity rewarded a very small handful of developers with free Z10’s and BlackBerry 10 pro add-on’s… Only they never gave us the devices – and recanted on the promise. (Update: They did recant and say they wont send the devices.. but BlackBerry sent me one anyway). Not a great experience in that regard. I’m hoping this isn’t a reflection on going support if you chose to build with Unity. The beta was interesting to signup for. All you had to do was follow a weblink and wait… and wait… and wait. At the time of joining, Unity was very pricy, but the trial would suffice for testing. Well, for some reason, they decided to do an email-group for Unity. The plus is that we could see everything everyone else was doing. The downside is they didnt really explain this to people, so we started receiving hundreds of emails (mostly people saying “remove me”) with little to no response from Unity. The beta documentation was non-existent. They provided us with nothing more than instructions for in-app purchases and a trial license. Thanks Scott. I am interested in porting over 20 games in the next two months for testing. Thanks for including me in the Unity Blackberry beta testing program. Can’t wait to start testing. hi i wanted to unscibe the email that i receive, i wanted to visit the group but i need permission. Yes I think I already press that. But I still receive em. These types of emails went back and forth, with over 50 users requesting to “be removed”. I don’t believe we had a single response from Unity in the entire forum list or email support. The IDE and game engine are very well built and robust. You can do significant testing on your laptop without testing on your device. And although there are some obvious issues (display port you use on the PC does not match the display size on your device) it works very well. Games load and run fast. One minor issue is that games seem to burn up battery power really badly. About mid-way through the release, a few developers were told to contact sales to pay a bunch of cash to get the most basic version of Unity working to allow the release of BlackBerry 10 applications. Ironically, a few weeks after paying for the software – the software package for basic went free. If you don’t mind working without clear documentation from a company, you can build applications very quickly and very well in Unity. It uses a 3d sandbox environment with scripting access – which means setting up a virtual environment first. Building out for BB10 was MUCH more difficult than it needed to be. You had to build your own game handling script engine from scratch (I used ray casting and a second camera) however 10 minutes of documentation from Unity would have resolved this. We appreciate all the valuable feedback you have given us on the latest tech from Unity and BlackBerry. That’s why you have been hand-picked to receive a Unity BlackBerry 10 Pro publishing add-on worth $1500 and BlackBerry Z10 device for free. Unity and BlackBerry want to make it easy for loyal Unity Pro beta testers like you to reach millions of BlackBerry users eager for high-quality games and interactive content. We’ll help you to complete a few easy steps to add the Unity BlackBerry 10 Pro add-on to your existing Unity Pro license key. You will receive an email from the shipping company working with BlackBerry. Click on the link in the email to order a free BlackBerry Z10. The device will be sent to you via FedEx at no personal cost. Get started now so you can start bringing your games and apps to BlackBerry users around the world. Please note that you must upgrade to Unity 4.2 to use the BlackBerry 10 Pro add-on. My first thought was wow – thanks! However, as the weeks went by, I never received an email from Unity or BlackBerry regarding the Z10. 30 emails later just asking for information, I’ve been told several times (this time from Unity support person Ben Stoneman) that unless I provide Unity with 4500 in licensing fees, I will not receive either the Z10 or the add-on. In fact, they keep directing me to some contest unrelated to the email. I’ve sent them the emails, and explained the situation, 12 different times to different representatives – who just keep sending me in circles. I’ve reached the point where I gave up. 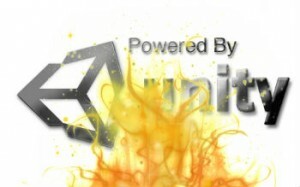 Unity software has great power and great abilities. Unity support and communication (especially internally) is so bad, it actually discourages you from using their software. Broken promises to small developers and Unity’s “your only one developer, so who cares how you feel” response to us just highlights a larger set of issues with Unity’s support structure. At this point, I’m assuming Unity has grown to fast to support itself and is in a confused state. If you are a developer who likes supporting a company (remember, the Pro version for BlackBerry only is 3000 bucks) you might want to debate how important support is to you. Use them for the free version and the free version only. The 1500 dollar charge is not worth the investment to use Unity Pro, and support channels will drive you absolutely bonkers. There is great potential here, just be careful.